The Max-700B/C Series is a line of genuine high-performance OTDRs from the world’s leading manufacturer. 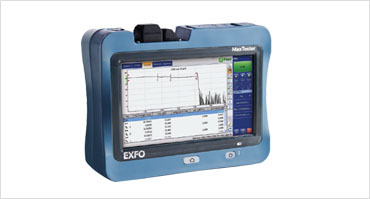 It delivers EXFO’stried and true OTDR quality and accuracy along with the best optical performance for right-first-time results, every time. The amazing 12-hour battery life will never let a technician down, and the plug-and-play hardware options, like the VFL, power meter and USB tools, make every technician’s job easier. Most importantly, the Max-700B/C Series is finally bringing the iOLM, an intelligent OTDR-based application, to the handheld market. This advanced software turns even the most complex trace analysis into a simple, one-touch task.